A jury found 24-year-old Michael Maiava guilty of murder in the first degree in the brutal death of a local Gay businessman. The verdict was read this morning (01/02/07) in the courtroom of King County Superior Court Judge Theresa Doyle. Maiava was also found guilty of use of a deadly weapon. 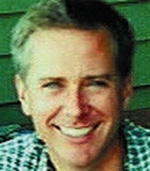 Kevin Patrick Shaw (pictured) was found inside his parked red Porsche Boxster on the morning of on October 21, 2004. His naked body had been wrapped inside two sheets and a garbage bag and was discovered slumped over the front passenger seat. According to the Medical Examiner, Shaw's death was caused by a penetrating wound to his head. Shaw had recieved other wounds before his death, including strangulation, a broken back, blunt force trauma and lacerations caused by the binding of his ankles. Phone records, DNA evidence, and items recovered from Maiava's residence link the suspect to the crime. Witnesses also reported seeing a red Porsche Boxster parked near the suspect's home around the time of the murder. Oscar Watch: The nominees are in! Oscar Watch: Golden Globes spoiler!